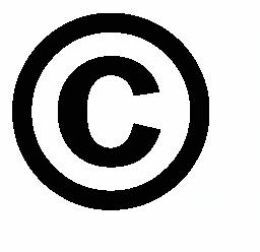 principal international conventions protecting copyright; the other is the Berne Convention. 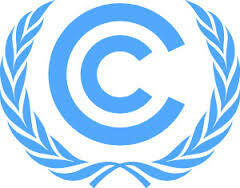 The Universal Copyright Convention was developed by United Nations Educational, Scientific and Cultural Organization (UNESCO) as an alternative to the Berne Convention for those states which disagreed with aspects of the Berne Convention, but still wished to participate in some form of multilateral copyright protection. These states included developing countries as well as the United States and most of Latin America. The former thought that the strong copyright protections granted by the Berne Convention overly benefited Western, developed, copyright-exporting nations, whereas the latter two were already members of the Buenos Aires Convention, a Pan-American copyright convention that was weaker than the Berne Convention. The Berne Convention states also became party to the Universal Copyright Convention, so that their copyrights would exist in non-Berne convention states. In 1973, the Soviet Union joined the Universal Copyright Convention. To approach the aim of universal membership and thus to include countries with a need for low protections , such as developing countries ( more than in the pre-existing conventions ) , the USA and the Soviet Union , the contents of the 1952 Universal Copyright Convention had to follow a relatively minimalist approach. Instead of Berne’s principle of ‘no formalities ‘ , Article 3(1) of the UCC permitted formalities for foreign works , but only those specified in this provision . This compromise allowed countries such as the USA to continue their requirements for domestic works, while enabling works from other UCC countries to enjoy protection in the USA or other countries if they only fulfilled the limited requirements of the UCC. Article 4 of the UCC provided for a general minimum duration of only twenty five years, and of ten years for photographic works and works of applied art. A transitional provision even allowed any Contracting State which, at the date of entry into force of the UCC in that state, provided for certain classes of works. The duration had to be computed after the first publication of the work. Reciprocity was introduced, given the diversity of national laws on the duration. The principle of national treatment was drafted in a slightly different way from that under the Berne Convention. The UCC in the version of 1952 also contained a definition of ‘publication’ , a rule on application in time , final and administrative clauses and framework provisions - in particular the Berne safeguard clause. This clause was to discourage Berne Union countries from leaving the Berne Convention .The countries that adhered only to the UCC, would not be protected under the Berne Convention. Moreover, if a Berne country which was country of origin of a work under the Berne Convention withdrew from the Berne Convention after 1 January 1951, the respective work would not be protected by the Universal Copyright Convention in the Berne countries. In addition, this provision stipulated that among Berne Union countries which were also Contracting States of the Universal Copyright Convention, the latter was not applicable in respect of works whose country of origin was a Berne country.